We all strive for glowing, smooth, healthy skin, especially in the warmer months when bare skin is abound. And, because we're all probably wearing fewer layers, we seem to be more aware of complexion imperfections, especially those tiny little bumps that may seem to be creeping up everywhere — including your bikini line. So, what are these pesky little bumps that don’t really look like blemishes? Read on for a breakdown of what they could be — and how to make them disappear. As we age, little bumps can appear on the skin and leave us wondering what they are. Often times, they're mistaken for clogged pores and attempted extractions go awry. Next, you might try to treat the skin with harsh products thinking it’s could be a particularly angry pimple. But, because you're doing more harm than good due to the misdiagnosis, skin is left dry and irritated — and those weird bumps are still there. Often times, these bumps turn out to be benign (non-cancerous) growths that appear on the face, neck, and body. They can begin as small, rough bumps and over time can become thicker and larger. There are many names for these — spanning the gamut of seborrheic keratoses, actinic keratoses, skin tags, sebaceous hyperplasia — and they all can appear a bit different. 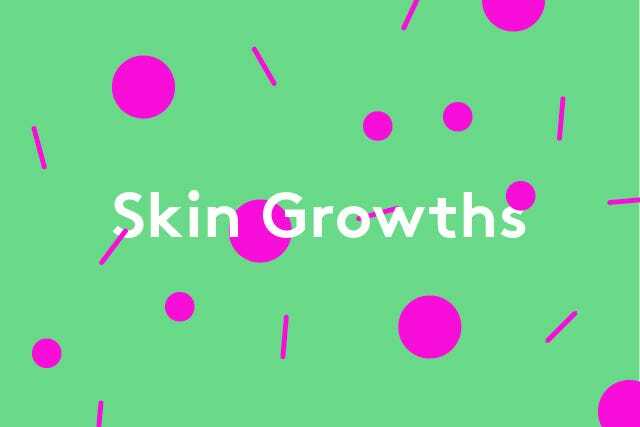 But, generally speaking, they're bumps, excess skin, enlarged oil glands, and growths that protrude from the skin and become impossible to hide with makeup. They can become bothersome, and while there is no magic cream or ointment that will make them go away, there are treatment options. A few include cryosurgery (a freezing technique using liquid nitrogen) for more serious bumps, electrosurgery, which involves burning the raised skin off with an electric current, or curettage, which is a scraping technique. All of these procedures are offered at a dermatologist’s office and some may even be offered at your skin care spa. Some dermatologists may resist removing such bumps since they are benign and not dangerous so you may have to insist to have them removed. I’d also advise to remove just one first to see how the skin will heal before having many removed. 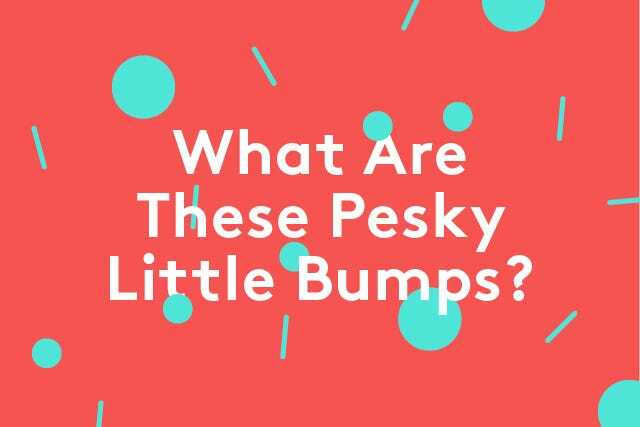 Two things to note when it comes to these unwanted bumps: Many of these growths are caused by a thickening of the skin. Both acids (like glycolic or lactic) and retinols may help since they can thin out the skin. Secondly, skin cancer (melanoma) can start as little growths, as well so it’s always important to get your skin checked over once a year. For most, summer means more time spent in a bathing suit, which means dealing with the dreaded bikini area. Bumps on the bikini line can quickly become an embarrassing issue. Ingrown hairs can occur from waxing or shaving the bikini area, and while they can be very painful and noticeable, they're also preventable. An ingrown hair occurs when the hair grows back and curls or grows sideways under the skin resulting in a sore, red, inflamed bump. In the first few days after hair removal it’s important not to be too aggressive with the bikini area. Apply a hydrating body lotion to keep the skin cells moist. In particular, the second week after a wax is when the hair is getting closer to the surface. This is when it’s important to start exfoliating to ensure the hair comes out cleanly. Apply a thin coat of an exfoliating serum to dissolve surface dead skin cells that can cause hair to become trapped under the skin. Two weeks after your bikini wax, skin can feel prickly and itchy as the hair starts to come out. Use a physical exfoliant to scrub the skin and loosen the hair from its surrounding skin to allow it to come out easily. I like to use an exfoliating body cloth daily. Hydrating after is also important to soothe the skin and if the skin doesn’t feel too sensitive, an exfoliating serum can be used under lotion. 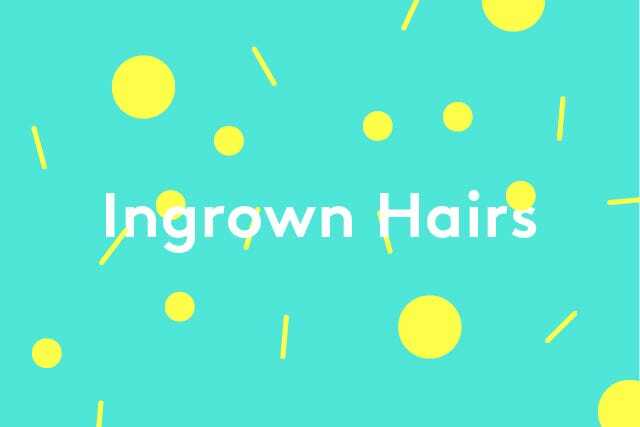 Ingrown hairs can also appear on the face when a coarse or long hair is tweezed or waxed. If this happens, you can continue to tweeze or wax, but be sure you increase your use of exfoliants to help keep the hair follicles clear. Another option, and often the best solution, is to trim the hair closely to the skin. This will ensure the hair always has an opening and won’t become ingrown. A more permanent solution is laser hair reduction, but be sure to have a thorough consultation before going this route. Most people are familiar with what a normal pimple looks like. However, cystic acne is another type of bump that can show up and be mistaken for something else. 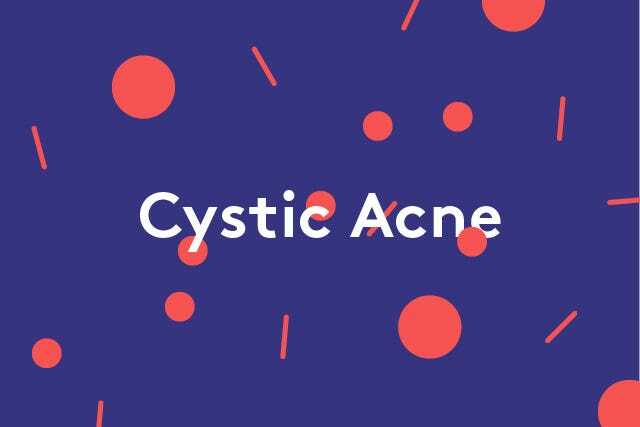 Cystic acne blemishes are those hard, painful blemishes that develop deep within the skin, often appear on the chin, jawline, or the bikini area — and can linger for weeks. If a cystic acne blemish pops up — which can be more common as summer approaches — whatever you do, do not pick at it. Treat the affected area immediately with a treatment designed specifically for cysts which will reduce the infection and cut healing time. Apply ice to reduce inflammation and reduce soreness. Then, give the cyst time to heal, as your body will eventually re-absorb this infection. While not all bumps are created equally, hopefully these tips will help ensure smooth skin all summer long.